Atlas 4’ box blade is a light duty model that has a welded on cutting edge. Complete with scarifiers shanks with heat treated points and Cat.I lift pins. 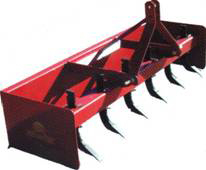 Available in 5’ and 6’ models, these box blades are especially engineered for small, low horse power tractors. The blackboards are replaceable. Complete with scarifiers shanks with heat treated points. Atlas 4' heavy duty box blade comes with two reversible bolted on cutting edges, scarifiers with heat treated points, and Cat.I lift Pins. The driveway maintainer is technically designed to perform land leveling with a utility tractor (35 H.P. to 55 H.P.) at a fraction of the cost of more expensive equipment. Available in 6' and 7' models. The Atlas Landleveler is available in 8' and 10' models. 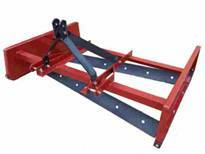 The landleveler can be used to smooth, plane, grade and spread. Each model comes with tire and wheels and each have a ½"x6" grader blade. Cylinder and hoses are not included. Atlas offers a 4', 5' and 6' regular blade. All sizes have adjustable blade angle and can be reversed for back blading. Blackboards are replaceable. The six-way adjustable blade is available in 5', 6', 7' and 8'. The blades have been greatly increased making it ideal for ditching and contour grading. Blackboards are heat treated for extended life and are also reversible and replaceable. 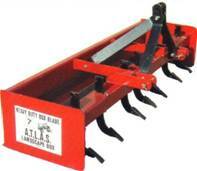 The utility or rock rake is available in 5', 6', 7' and 8'. The 3 point rock rake can be used to remove rocks, debris or to spread top soil. These models feature structural steel frame and heat treated spring teeth which are replaceable. The 3-point cement mixer has a 5 cubic foot capacity and a two piece steel drum construction with internal paddles for uniform mixing and clean dumping. Compact, trouble-free, long life design with few moving parts. Hydraulic top link cylinder provides positive dump control. The cement mixer is also ideal for mixing fee, fertilizer, inoculating seed, potting soil, and other mixing jobs. Behlen post hole diggers are designed to fit Cat.I tractors. 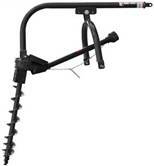 The diggers are available with 6", 9" or 12" augers. Steel cutting edges and cork screw points are replaceable. Shear bolt protection on PTO and auger saves costly repair bills. The gopher machine is designed to operate for a long period of time with a minimum of maintenance. The chain only needs to be oiled about every ten hours of operation. The run forming point on the foot is replaceable by removing a roll pin and replacement is fast and easy. The machine is offered with a rigid or swivel coulter. 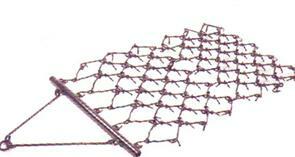 Flexible chain harrow are available in 4', 6', 8', and 12' widths with 7'6" in length. 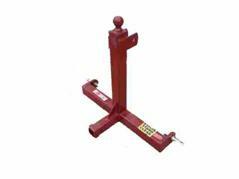 All models are manufactured from ½" diameter high quality steel. 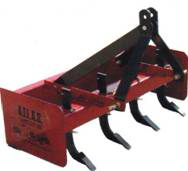 Flexible chain harrows can be used alone or in combination with other field equipment. They improve moisture penetration and stimulate new growth and are ideal for spreading manure in pastures to eliminate burn. 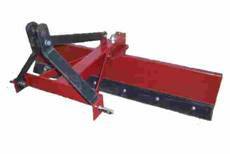 This unit enables tractors to move gooseneck and bumper trailers. 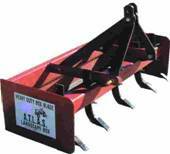 The hitch has a 2 5/1"” ball for gooseneck trailers and a 2" receiver hitch for bumper trailers. We offer a universal replacement loader bucket in 4’, 5’, 6’ and 7’ models. All buckets come with weld on brackets to fit to your tractor.